Staphylococcus aureus may cause antibiotic-associated diarrhea and enterocolitis, with or without preceding antibiotic use, in immunocompromised adults or infants, or individuals with predisposing conditions, but there is little appreciation of this condition clinically. 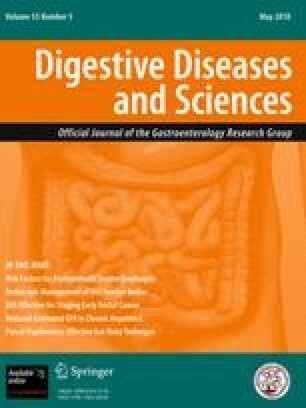 The main clinical feature that helps to differentiate staphylococcal enterocolitis (SEC) from Clostridium difficile-associated diarrhea is large-volume, cholera-like diarrhea in the former case. A predominance of gram-positive cocci in clusters on gram stain of stool or biopsy specimens and the isolation of S. aureus as the dominant or sole flora support the diagnosis. The pathogenesis of SEC requires the interaction of staphylococcal enterotoxins, which function as superantigens, with interstitial epithelial lymphocytes and intestinal epithelial cells (IECs). Most SEC represents recent S. aureus acquisition, so that improved infection prevention practices can reduce disease recurrence. Management should include aggressive fluid management and repletion and oral vancomycin.